The Avalon Cornerstone Project supports significantly improved economic and cultural benefits for the community. 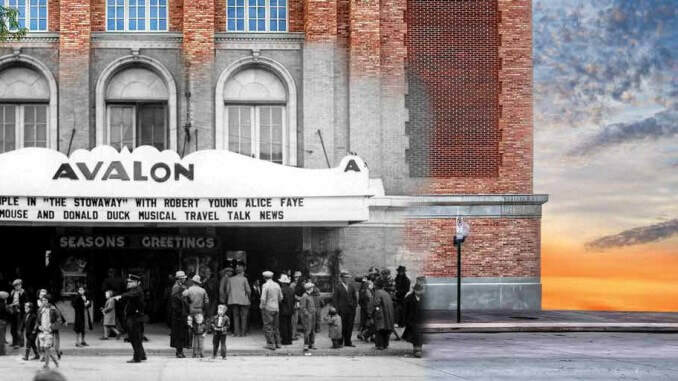 In addition to their ticket purchase, patrons of The Avalon Theatre currently spend an average of $23 per attendance with local businesses for food, lodging, and shopping. Expanded capacity is projected to increase attendance by 54%, resulting in annual indirect income to local businesses of $1 to $2 million. The first phase was a substantial construction project helping to create jobs and support local building trades, associated businesses, and supporting industries. Based on economic development multipliers, every $1 spent in construction generates $1.85 in local earnings and $1.99 in local employment. Expanded programming and events are projected to increase gross revenues by as much as 100%, or double that of current gross revenues. The average ticket price at The Avalon is currently $13. Though many offerings may retain a lower ticket price, people are willing to pay a higher ticket price for bigger acts. In fact, in the 2010 Avalon Study, respondents said they would pay as much as $33 per ticket for higher-level performances, which would result in substantially increased gross revenues. At full build-out, the Avalon Cornerstone Project will equip the building appropriately to appeal to the type of performances that will garner higher ticket prices. Projected increases in indirect revenues would also yield an increase in supporting tax revenues. Many of these dollars will come in the form of sales taxes from out-of-town visitors through their purchases in local businesses. During the first phase, 200 seats were added to the theater. This additional capacity brings the theater to a more competitive venue size able to attract the more diverse events and performances, a league from which it was previously excluded. This additional capacity will have a substantial positive impact on The Avalon’s economic operations and profitability. The expansion of the Avalon Theatre increases the regional draw to the Grand Valley. As a newly renovated and expanded venue the theater effectively anchors the east end of the downtown shopping complex, further solidifying it as a regional destination. This status draws a larger out-of-town and tourism base. On average, visitors are typically willing to pay 66% more for a ticket, in addition to local spending on food, lodging, and shopping. According to local economic development leaders, the lack of cultural opportunities is a consistent factor working against the area’s ability to attract new businesses and young professionals. A fully renovated Avalon Theatre helps correct this deficit and enhances the region‘s appeal to potential outside investors. In case studies of similar venues in Durango and Fort Collins, out-of-town patrons accounted for 15 to 27% of total annual event attendance. Out-of-town visitors are a primary source of new business cultivation and economic development. quality of life in the Grand Valley, but also significantly increases the value of this capital asset to its citizens. The fully renovated theater will give the community a beautiful, one-of-a-kind civic auditorium. The historic roots of this grand building further draw together the generations and render an asset that all can claim withpride. Cultural enrichment is key to attracting and retaining good businesses and in building community strength through shared experiences. Situated halfway between Denver and Salt Lake City on the Interstate 70 corridor, and with excellent air service to Las Vegas, The Avalon Theatre is well positioned to capture high-caliber performances, speakers, and events. Event planners and respondents to the 2010 Avalon Study said there were currently no facilities comparable to a fully renovated Avalon Theatre. Nearly two-thirds of those surveyed said they would use the new venue. Civic organizations were chief among those interested. Business and religious organizations also indicated high interest.